I always love comfort food like this during "cold" weather; especially winter. 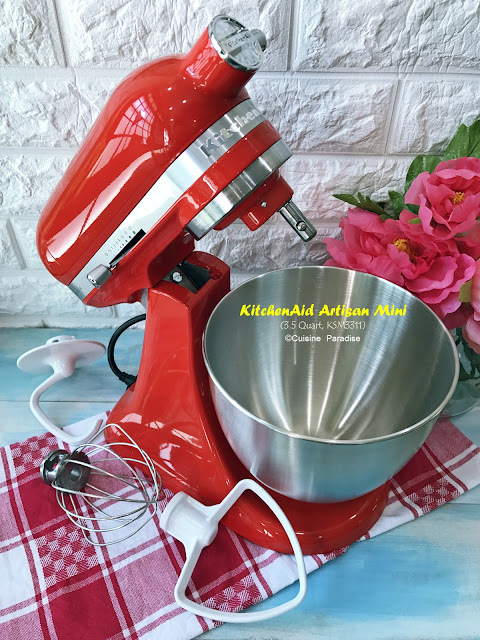 It is so easy to prepare by just assembling all the ingredients together on baking dish, pop them into the oven and by an hour or so everything will be ready. So all you need to do, is prepare some salad, couscous or coleslaw to go with it for a hearty weekday meal. 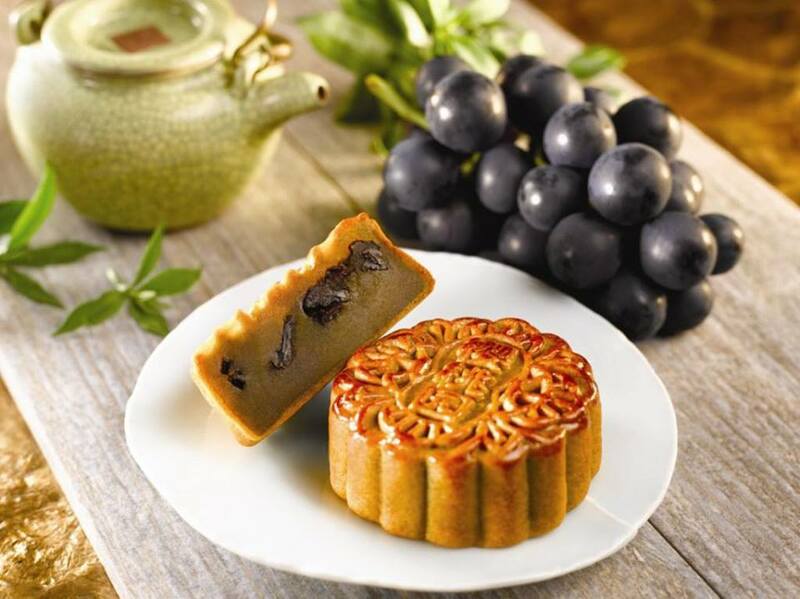 Time flies, in another month's time most of us will be celebrating the Mid-Autumn festival where friends and family gather to enjoy assortment of mooncakes and food. And during this period of time getting mooncakes for friends and business associates has also become a tradition routines. Below are some Traditional and Contemporary mooncake variety which you might be keen to take a look while placing your orders. 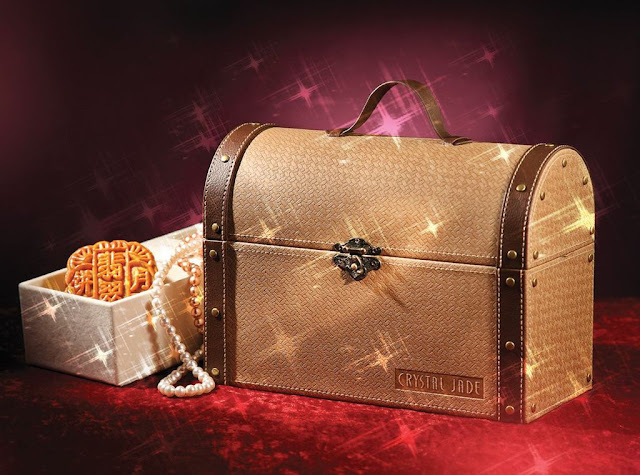 [Photo: Crystal Jade] With gifting in mind, this year Crystal Jade has introduce their Mystical Treasure Set (SG$89.00 per box of 4 pieces) which comprises four premium flavours of Gold Leaf Mooncakes encased in a newly-designed, limited-edition treasure chest (shown on the first photo above). 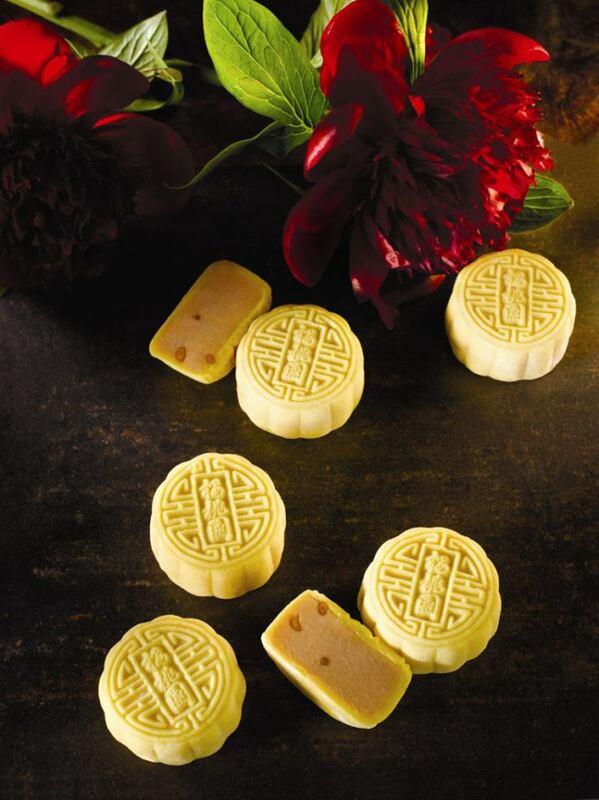 Each set includes Crystal Jade’s premium offerings such as: Gold Leaf White Lotus Paste with Double Yolk, Gold Leaf Red Lotus Paste with Double Yolk, Gold Leaf Plain White Lotus Paste, and Gold Leaf Mixed Nuts and Ham. On top of that The Magnificent Five (SG$69.00 per box of 5 pieces) also makes another great gift that is packaged in a luxuriously quilted gold box. 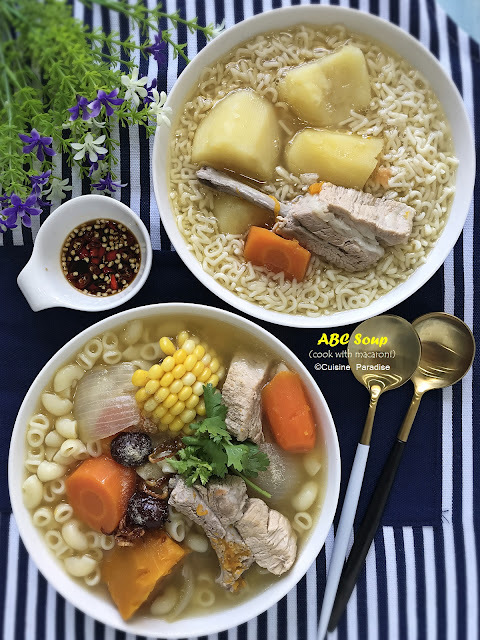 This set includes: Super Five Yolks with White Lotus Paste, Plain White Lotus Paste, White Lotus Paste with Double Yolk, Red Lotus Paste with Double Yolk, and Mixed Nuts and Ham. [Photo: Crystal Jade] For a twist and something with lighter taste, you might want to consider the new Snow Lotus Konnyaku Mooncake (SG$20.00 per box of 4 pieces) which is under Crystal Jade Floral Tea Konnyaku Mooncakes range. Pick your choice between sweet or savoury mung bean filling which has been prepared from scratch. 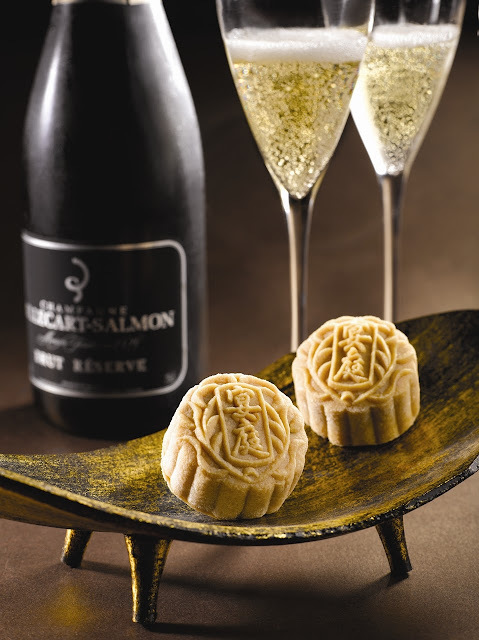 Each piece of mooncake is wrapped with a single salted egg yolk with the sweet rendition topped with white sesame. Whereas for the savoury one, it is blend with salty mung bean paste, fried shallots, white sesame and seasoned with white pepper. Make with generous filling of savoury mung bean paste, fried shallots, white sesame, spicy pork floss and salted egg yolks, this novel creation is also accented with a proprietary spice mix. Wrapped with double delights of red bean paste and a unique ‘crystal’ filling made with winter melon, melon seeds, dried orange peel, white sesame, spring onions, and glutinous rice flour. For durian lovers, this is a contrast between smooth D24 durian-infused bean paste and crispy pastry. An old-time favourite with combination of maltose, white sesame, dried kumquat and five-spice powder, rendering a unique and unforgettable taste. [Photo: BreadTalk] This year BreadTalk will be lunching their "limited edition" Hello Kitty Mini Mooncakes @ SG$25.00 per box of 4 pieces from 07 - 19 September 2013. 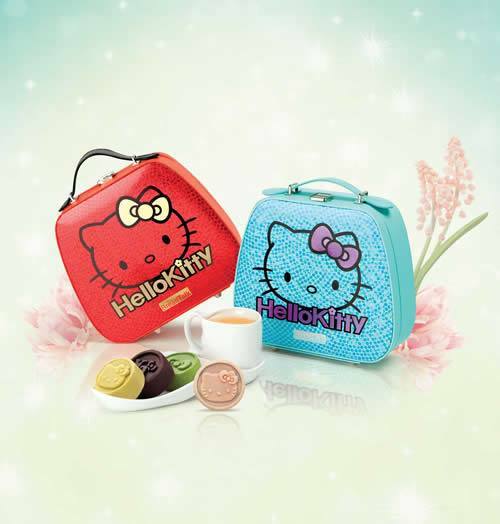 These mooncakes comes in 4 different flavour such as:- Azuki Milk and Nuts, Green Tea Apricot, Chocolate Walnut and Glutinous Rice Yam specially packed in the Hello Kitty designed carrier so fans remember to grab them while stock last. [Photo: Mandarin Oriental] This year apart from the traditional baked mooncakes, Cherry Garden also introduces the Homemade Mooncake with Green Tea Paste and Japanese Kyoho Grapes. This pairing between the sweet green tea and refreshing plum wine-infused grapes is pricing at S$62.00 per box of 4 pieces. Fans of Din Tai Fung, for this coming Mid-Autumn Festival you will be able to try their very first Baked Mini Mooncakes which comes in two new flavours such as White Lotus Seeds Paste with pineapple fillings or pine seeds and orange peels. Personally I prefer the one with orange peels which balance the sweet, savory and tangy taste of this festive treat. 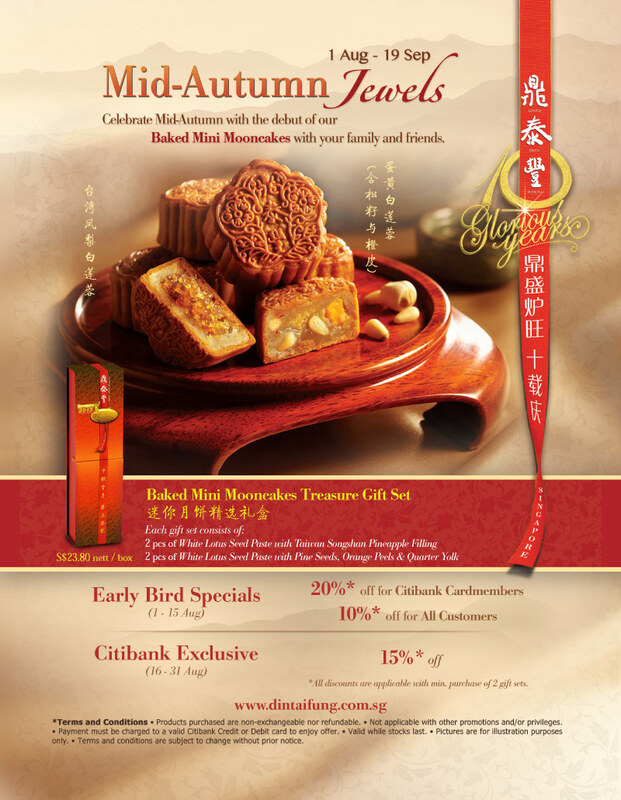 Each box of their Baked Mini Mooncakes Treasure Gift Set consists of four mini mooncakes (two of each flavour) pricing at SG$23.80 nett and it will be available from 01 August - 19 September 2013 at all Din Tai Fung Outlets islandwide. 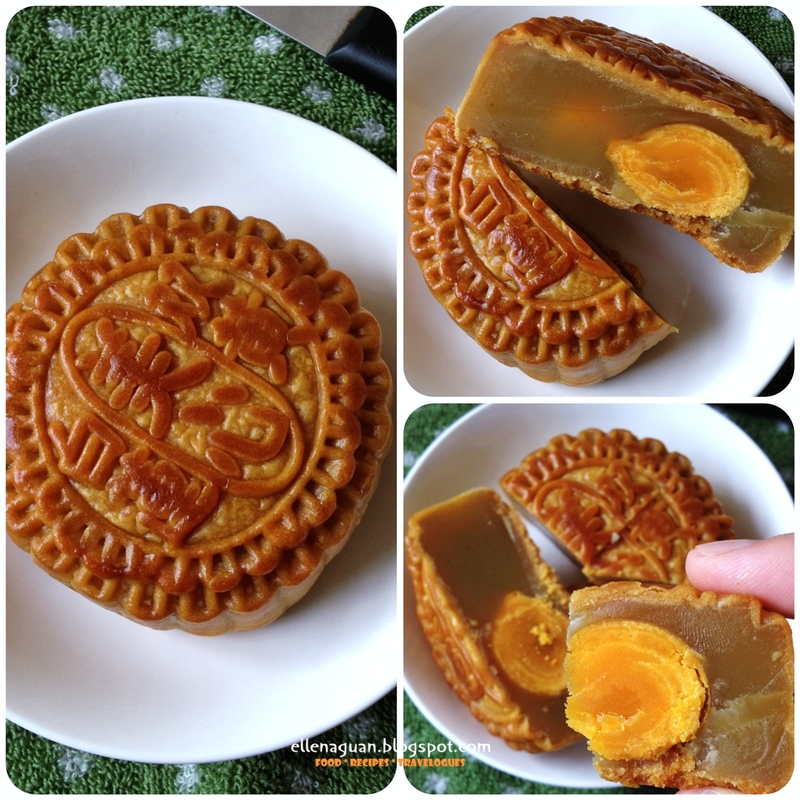 Eater Place (食珍) is one of the pioneer brand that offers Flaky Teochew Yam Mooncake or also known as Or Nee Mooncake. This has always being my favourite mooncake because it's quite different from the usual baked mooncake that is make with lotus seeds paste. I love it's layers of flaky skin which enclosed the smooth and fragrance yam paste and pumpkin which makes it just like having my favourite Or Nee (yam paste). You can sample these flaky mooncake at Takashimaya Mid-Autumn Festival (basement event hall) and grab a box or two back as gift too. 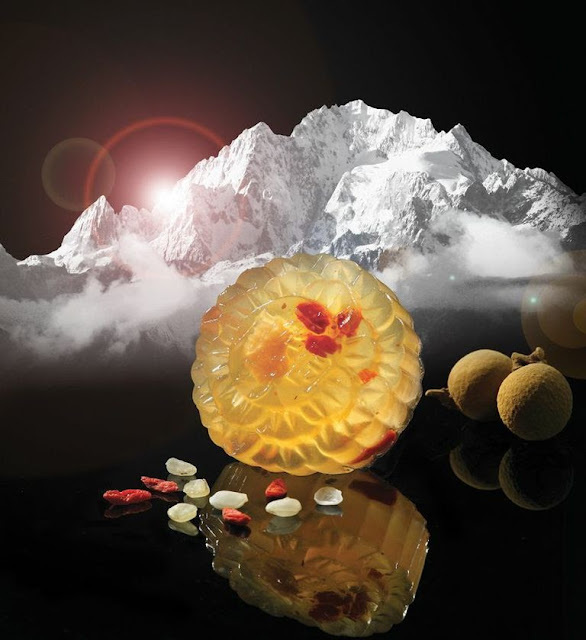 This year Yan Ting has introduce five new snowskin creations using quality ingredients with flavours such as "Mao Shan Wang" durian (SG$108.00 with box of 8 snowskin mooncakes), mixed berries, green tea, purple sweet potato and royal milk tea with chocolate champagne. And if you can't decide on what flavour to choose, you can also grab a box of a Assorted Snowskin Mooncake (excluding durian snownkin mooncake) shown above at SG$67.80 with 8 mini mooncakes in it. 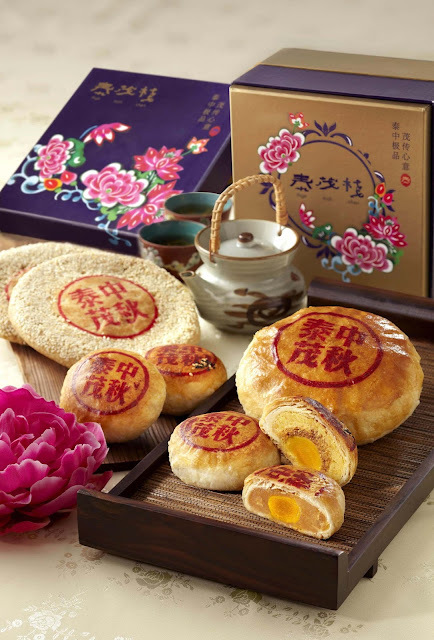 Yan Ting also offers exclusive premium gift box set together with your selection of 8 snowskin (SG$138.00) or 4 traditional baked mooncakes (SG$158.00). 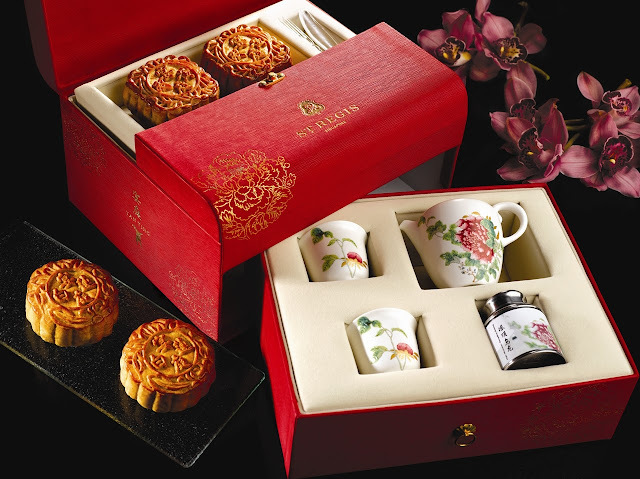 The gift set comes with a charming oriental teapot with two tea cups and a canister of Dongding Oolong Tea. Yan Ting mooncake will be available at Yan Ting Restaurant located at level 1U or the Mooncake counter next to The Drawing Room located at the lobby from 19th August to 19 September 2013. 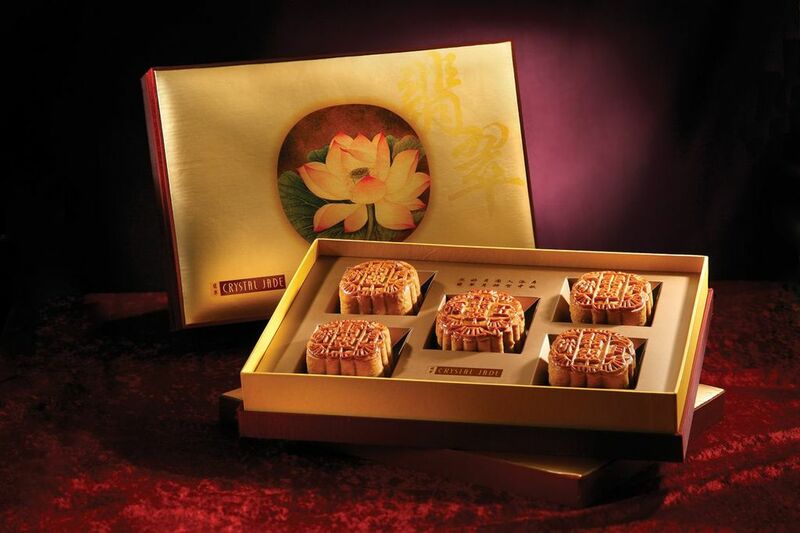 Mei-Xin Mooncake (美心月饼) is the Hong Kong's leading brand of mooncakes and this year I an si glad to receive a box of the Lotus Seed Paste Mooncake with 2 Egg Yolks (retail price: SG$51.00 for a box of 4 mooncakes) from our Hong Kong relative who visit Singapore two weeks ago. Indeed their lotus seed paste is smooth with a delicate fragrance and it pairs well with the salted egg yolks in it. If you are keen to sample of their baked and snowskin mooncakes, do visit their booth at Takashimaya Mid-Autumn Festival (basement event hall) from Now to 19 September 2013, 10.00am – 9.00pm. Our family loves "banana" cake except me. But about two weeks ago, when I saw Maryann (@tubbykat) Gula Melaka Banana Bread's photo on Instagram (here) I know immediately I am sold for this combination because of my favourite "Gula Melaka" which is one of the key ingredients for this recipe. With that added it definitely enhance the taste and aroma of the cake which makes them similar smells rather like caramel popcorn. It's past mid-week and I am sure everyone is looking forward to weekend. In this post, I will be sharing 5 different quick lunch bento (with two recipes) ideas which you can prepare for your kids or yourself in a way too. I am always delighted to create my bento with "colourful" items which brighten my day or for the one who eats it. Although I might not be a skillful bento maker like some of those experts who makes really good character (charaben) bento (example, Samantha Lee) but in a way I am happy with what I can do for my boy. And I am sure you can make simple bento too with a mixture of bread/rice, meat and some sides with fried stuffs, fresh fruits and vegetables I am sure you can create something interesting out from the box. Sandwich sushi roll can be a quick breakfast or tea snacks which you can prepare for your kids at anytime of the day. To make it more nutritious, wholemeal or mutli-grain bread can be use to replace normal white bread together with addition of some lettuce and cucumber in it. And also you can choose fillings like egg, tuna or chicken mayonnaise depending on their preference. 1. Place all side-dish in food casings and arrange them on one corner of the bento box. 2. Put bread on a sheet of cling wrap, using a rolling pin to flatten bread slightly then spread a tablespoon or more of egg mayonnaise on it leaving 2cm free along the other end of the edge. 3. 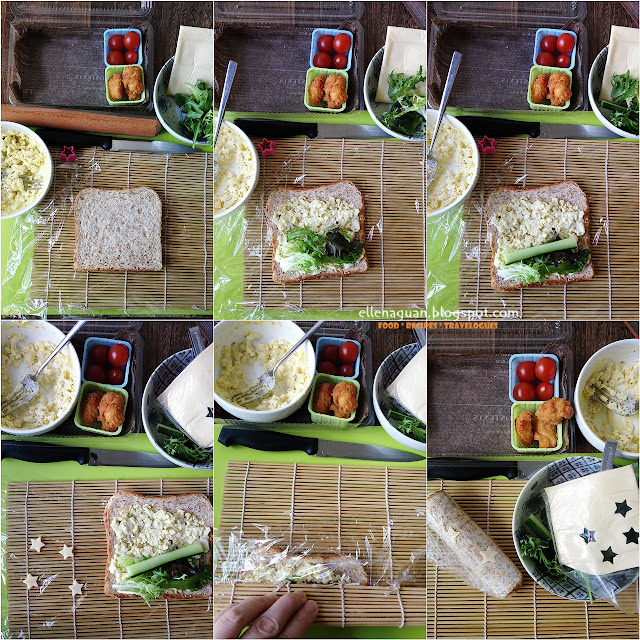 Top with lettuce and cucumber strip then lift up the bread and place it on top of the "cheese stars" (cut out from sandwich cheese using heartshape food cutter). 4. Roll up to enclose filling then cut the sandwich into 4 rounds. 5. When done, arrange the rounds on the food case and you are ready to serve it with the sides. Have you thought of making Onigiri (rice ball) using bread? 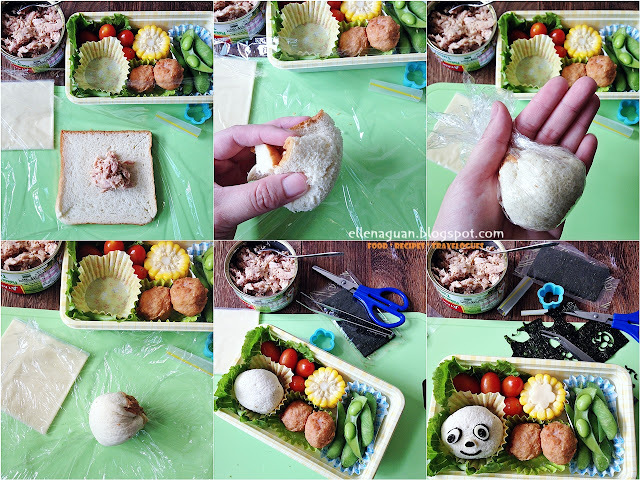 With sandwich bread that can be easily get in all household, you can use it to make cute animal onigiri like what shown above. Instead of Panda, you can shape and decorate it to look like dog, cat, pig and etc base on your creativity. Below is a simple recipe and step-by-step photo guide on how to make the bread onigiri. 2. Put bread on a sheet of cling wrap, using a rolling pin flatten the bread then cut a 2cm slit on each corner of the bread (refer to the step-by-step photo above). 3. Spoon 1 tablespoon of drained tuna and place it on the centre of the flatten bread (you can drizzle some mayonnaise on it). 4.Carefully hold the 4 corners of the bread together and with the help of the cling wrap, shape the bread into a panda face (oval). 5. When done, arrange the tuna bread on the food case and you can start to decorate the feature of the panda using cheese and seaweed sheet. 6. Lastly fix the panda ears using either raining or blueberry with the help of dried spaghetti stick. Making your own bento like the above is actually not as difficult as you think of. You can be creative to incorporate different side dishes/fruits which you prefer. Pick a meat or veggies to go with your sushi roll and at the same time add on some simple decoration to make it look more presentation. I hope this post can give you some inspiration to make a simple bento for your kid(s) this weekend to encourage and rewards them for coming CA2 exam. 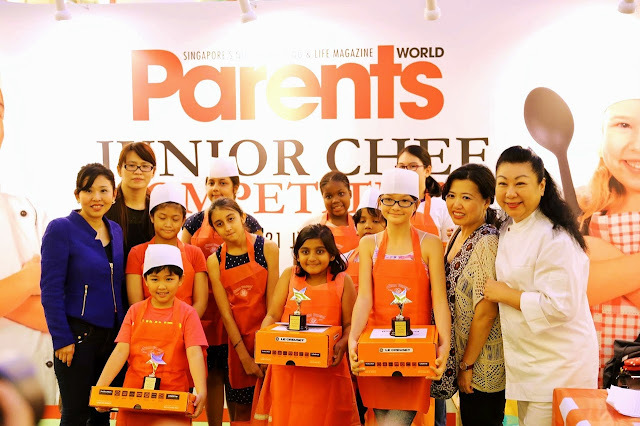 Good luck and all the best for the kids who are taking the coming CA2 or PSLE Exam. Although I do enjoy both baking and cooking as a hobby as well as a way to express my love for my family through food. But there are also days where I am on my down-side with no inspirations or mood to do anything. Moreover I just don't feel like spending more than an hour to prepare a meal with 2 dishes and a soup with lot of washing to be done, so the easier way is to settle for a quick one dish meal. Last two weeks due to long weekend holidays (Hari Raya and Singapore National Day) plus I was busying with some bakes (durian hokkaido chiffon and durian butter cakes), I decided to make good use of the oven since it had already being warm up after the bakes. So instead of using the usual steaming method to prepare the fish, what I did was, place the prepared fish into the oven and baked till it was cooked. Surprisingly the baked fish taste so juicy and yummy just like using steaming method too. 1. Preheat oven to 220°C (Degrees Celsius) and layer baking tray with foil and baking paper. 2. Rinse the fish thoroughly and pat dry with kitchen paper towel. Stuff a mixture of ginger, garlic, lime leave, lemongrass and chilli in the fish cavity. 3. Rub fish all over with oil and place it in oiled and lined baking tray, scatter reminding ginger, chilli, lemongrass, garlic, lime leaves and cherry tomato over it. 4. Roast, uncovered for 15 - 20 minutes or until cooked through. Meanwhile, prepare lime and chilli dressing by mixing the ingredients together. 5. When the fish is done, drizzle dressing over it, sprinkle with coriander leaves and serve with steamed rice. Have a great Monday everyone!!! !